Hey guys! Today will be the only post for this week since Thursday is Thanksgiving. 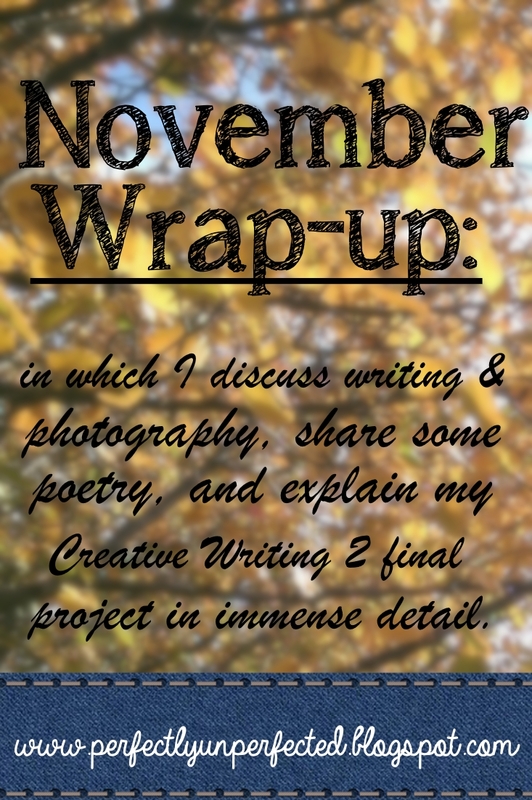 And today instead of a writing tip, I wanted to share some fun stuff to wrap up November! Why yes, that is a book I am holding. And yes, it does have my name on the cover! So let me tell you a story. 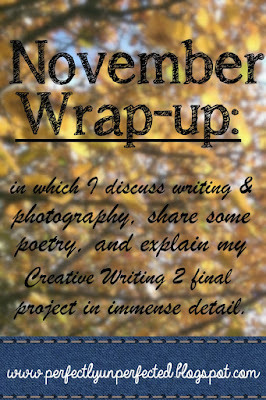 A few weeks ago, my Creative Writing II professor explained to the class that finals were going to be here sooner than we would blink, and that it was time for us to start preparing a final project. She didn't care what we did, so long as it pertained to creative writing. Guys. My professor gave us FREE RANGE to do WHATEVER WE WANTED. We could write a children's book, make a book of questions, write a story--anything. Absolutely anything. It was as if there were so many possibilities to choose from that I didn't know what to choose! I knew if I wanted to make something good, I'd need to give myself time to make it. I had to get started on this project ASAP. And then an idea popped into my head--a poetry book. But what sort of poetry book? First, I thought it would be cool to get a journal and hand write my poems, then make the outside of the journal look all rustic and used and cool. Needless to say, that idea was scrapped the moment I looked at my handwriting and realized how terrible it looked compared to the beautiful scripty-ness I envisioned in my head. Obviously this wasn't going to work. Lo and behold, I stumbled upon a nifty little company called Blurb. With their awesome book-making software, I was able to create an amazing poetry book filled with my words and my photos. 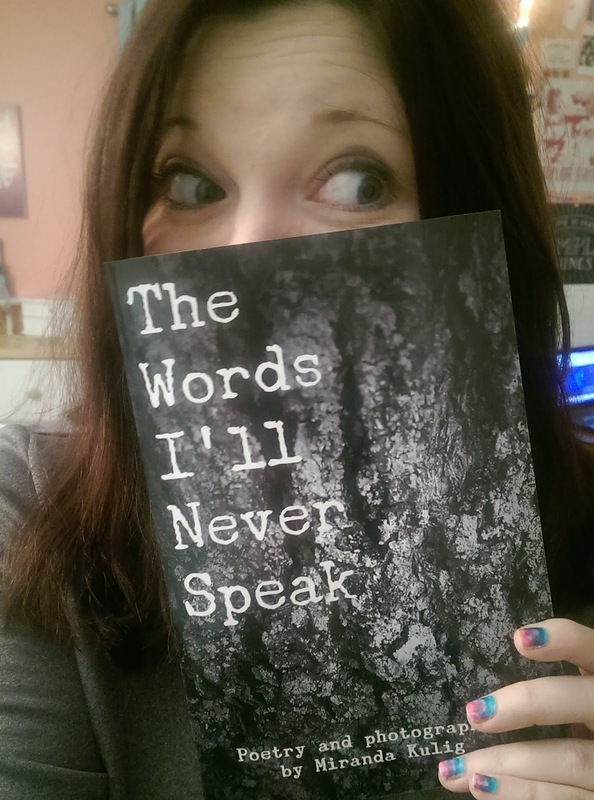 It took me weeks to do, but soon enough I had a 40-page poetry book all ready to go. And my final project isn't even due until December! Just to be safe, though, I ordered my book. Yes, I did have to pay to create the book, but the pricing wasn't bad at all! And last night, my book arrived. And it. is. so. BEAUTIFUL. Even though it wasn't technically published by a publishing house and will never be sold in stores or online, seeing my words in print was so incredibly encouraging. I don't want to stop until I see one of my novels in print just like it! So yeah. For all those wondering what the heck the gorgeous book is that I got so excited about last night, it's my final project. 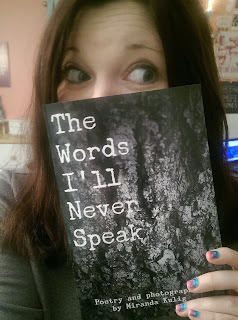 My words and my photos in a real, beautiful book. Heck yes. That's so cool! I might try doing this as a christmas present to one of the sibs ;) your book is gorgeous keep writing!